On May 6, 1954, Roger Bannister became the first person to run a mile in under four minutes. 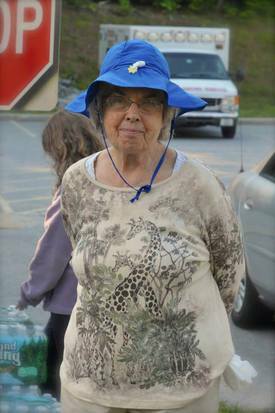 Fryeburg ME native and life-long FNCA member and core lecturer Rev. Dr. George F. Dole also ran in that historic race, placing 5th with a time of 4:25. 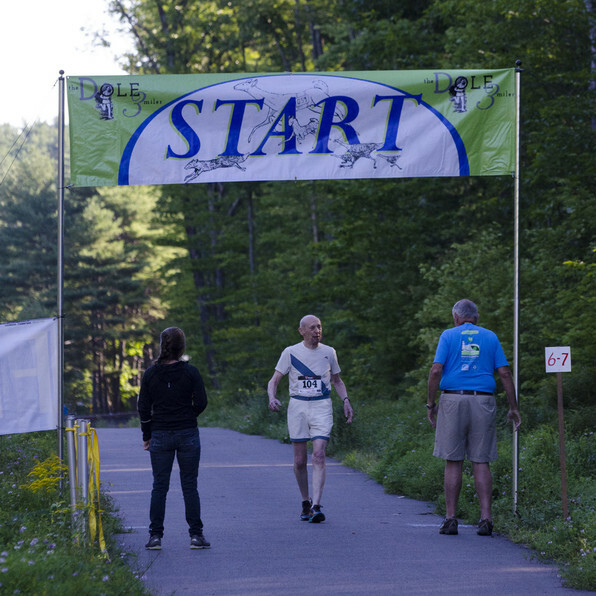 Sixty years later, in 2014, this new race was created to celebrate the life and achievements of Rev. 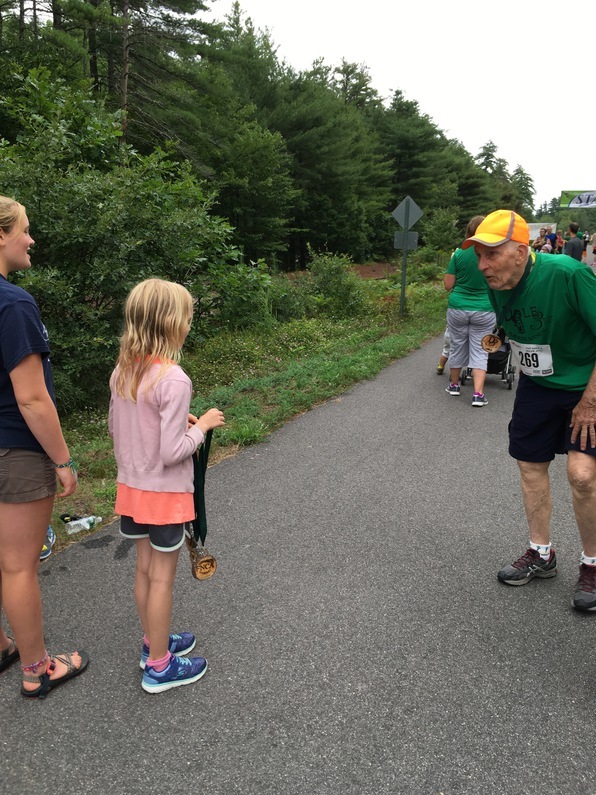 Dole --- now in his 80's and still running today. 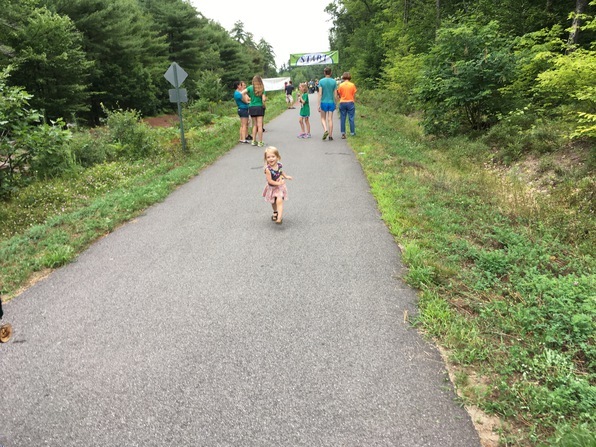 The Dole 3 Miler is held the middle Saturday of camp at 8:00 a.m. on the Mountain Division Rail Trail directly across Rte 302 from the FNCA. 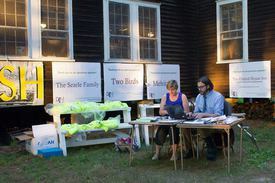 The starting line and parking is at the Maine Information Center at the ME/NH state line, with overflow parking on the Assembly grounds. 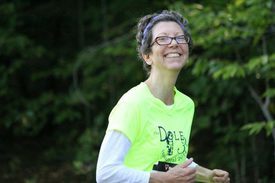 Registration for the 6th Annual Dole 3 Miler opens Friday, March 1, 2019. 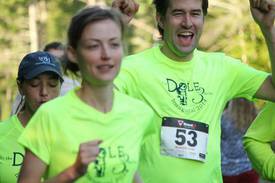 To register, visit the Dole 3 Miler Registration page or Active.com. 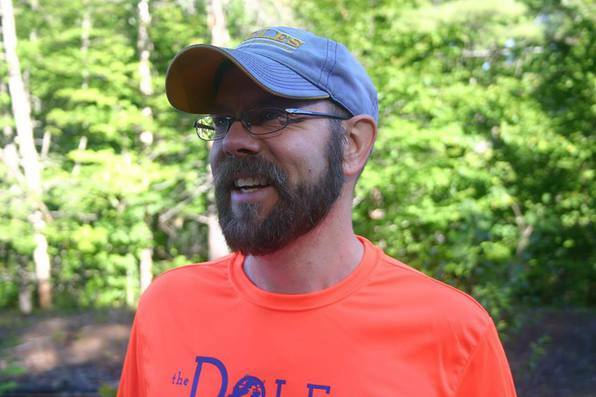 If you would like to make a financial contribution to the race or set up a fundraiser for it, please the Dole 3 Miler CrowdRise page. 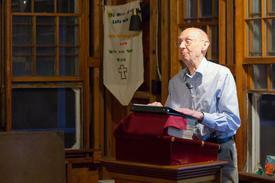 For more information, delightful videos of interviews with Rev. 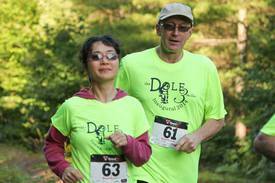 Dole, a video of the original 1954 race, and other perks, plus to register for this year's race, please visit the Dole 3 Miler's official website. 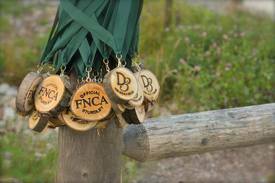 The people who work so hard to put on this race are the FNCA's Dole 3 Miler Committee. 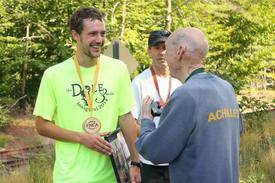 This year, John Allard, last year's 2nd place runner, returned and finished in 1st place with a time of 16:36. 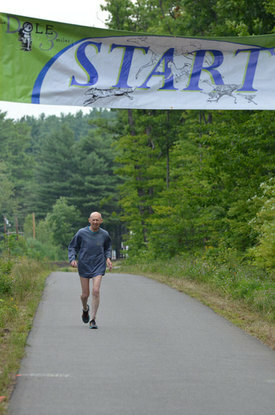 2nd place was taken by 2016 winner Jeff Lindy with a time of 16:59. 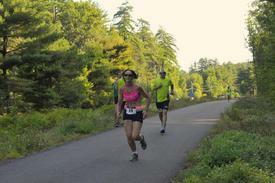 3rd place and the first female runner was Loren Andrews, 19:20. 4th place, Erik Martin, 19:28. 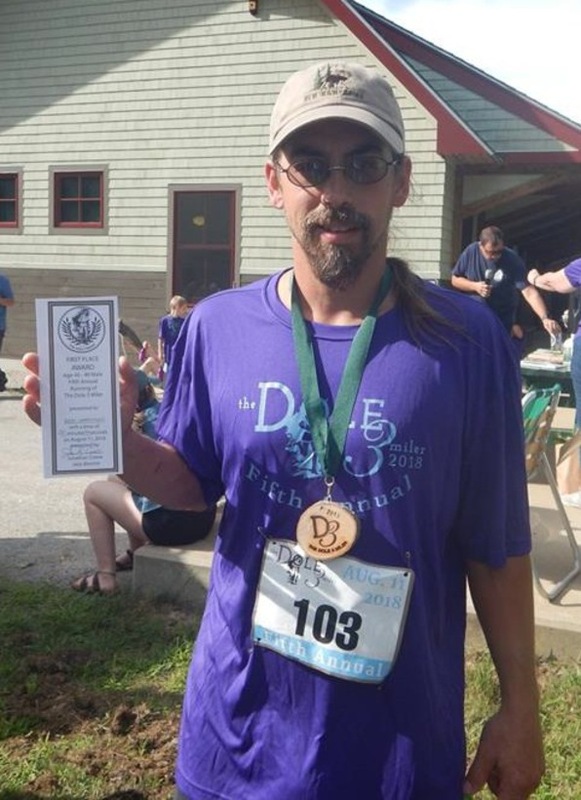 5th place and Dole plaque winner, Osage Crie, 19:58. 6th place, Manny Adediran, 20:32. 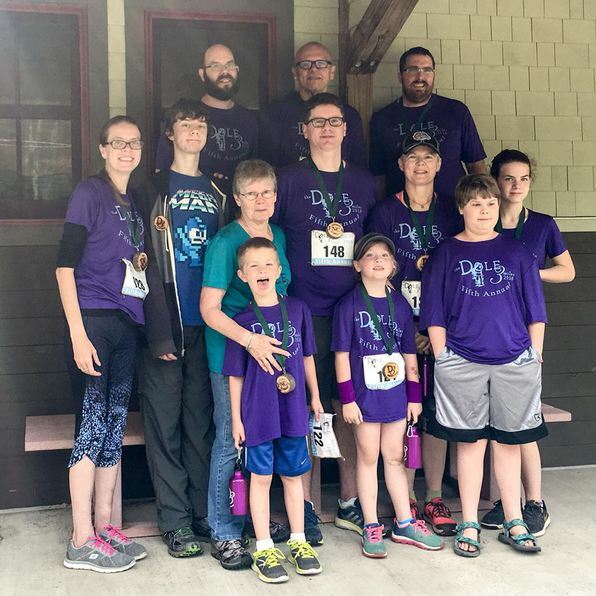 7th place and first FNCAer to cross the finish line: 13-year-old Zed McNaughton with a time of 20:45, shaving nearly half a minute off of last year's 9th place finish! 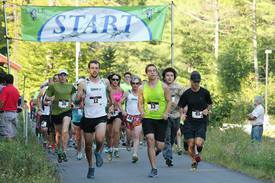 Complete race results are here. 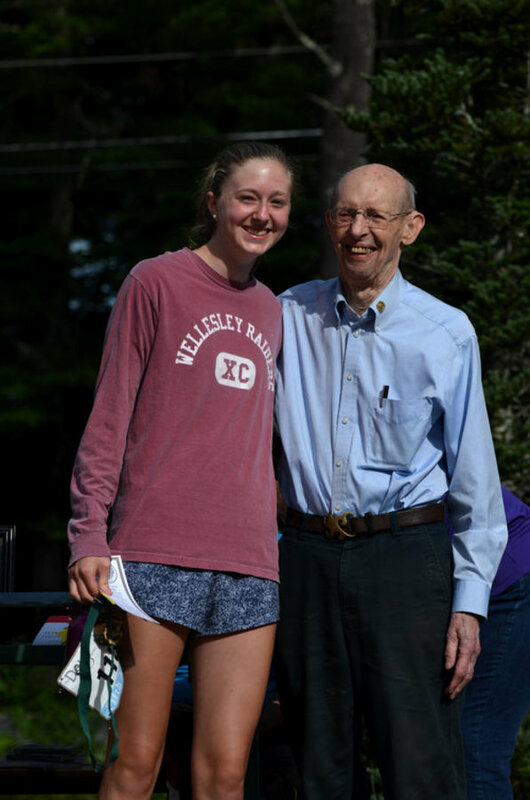 "3rd Place & 1st Female: Loren Andrews"
"1st Over 80: Bob Randall"
"First in His Age Group"
This year, Nathan Buck returned and took first place as he did in 2014 and 2015. 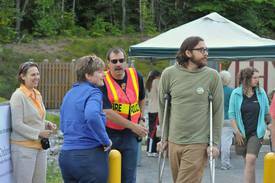 Second place was John Allard. Third place was won by our very own Sam Reed, the first time an FNCA member has placed in the race. 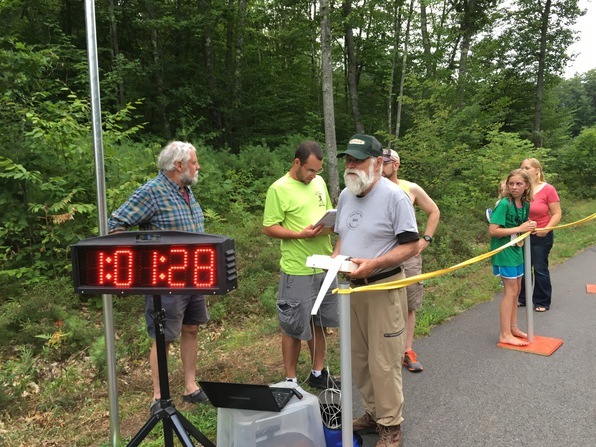 with his Father and Sister"
"Behind the Scenes in 2017"
This year's winner was Jeff Lindy with a time of 16:37. Second place, John Allard. Third, Ray Soya II. The classic 5th place (where George Dole placed in the original 1954 race) was Erik Martin. 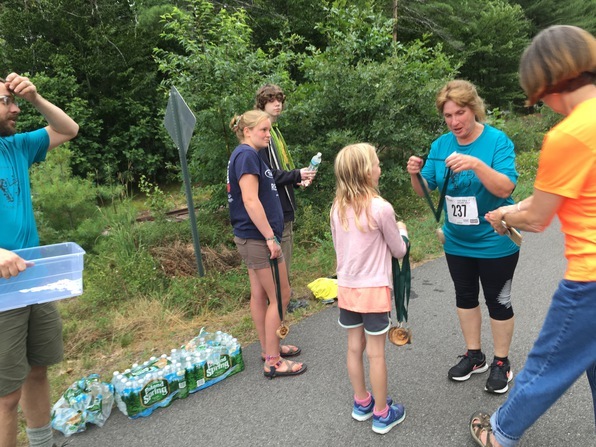 The first Assembly member to cross the finish line, for the 3rd year in the row, was 11-year-old Zed MacNaughton in 9th place with a time of 21:21. 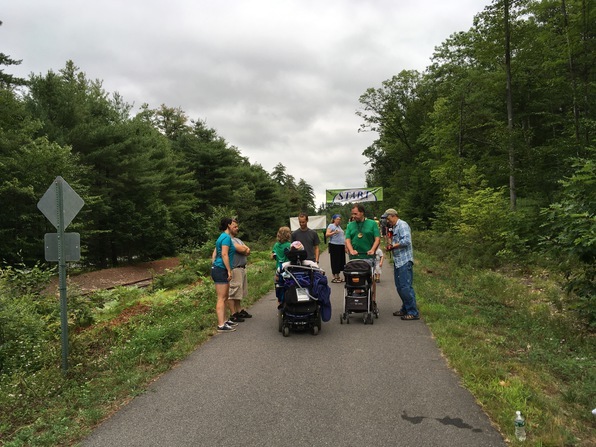 Complete 2016 race results are here. "This Year's Winner: Jeff Lindy!" 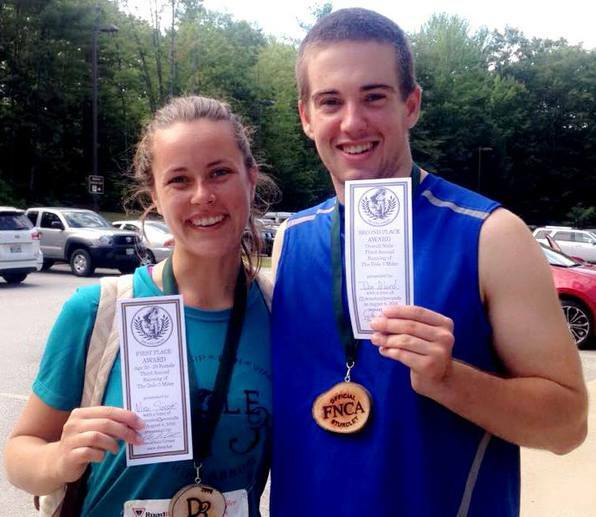 "Nina Sasser and John Allard"
Amanda Wirling is Dan & Lee Dyer's exercize trainer. 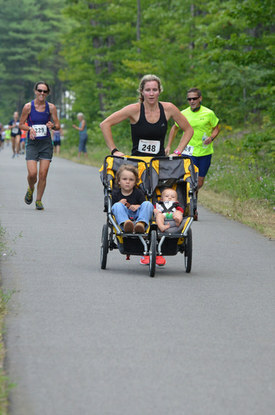 She ran the whole race pushing this double stroller... and still placed 22nd in the race, ahead of 75% of the other runners! "George Approaching the Finish Line"
George finished in 49th place with a time of 35:50 this year. A lot more photos are here. 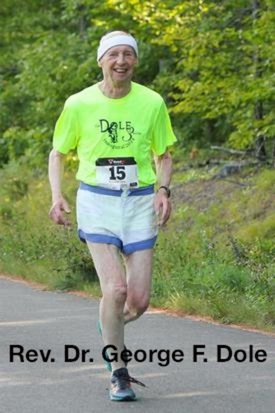 "George in His Designer Running Suit"
We are delighted to announce that TrackSmith sporting apparel company has created "George Dole Editions" of the running suit George wore in the original race in 1954. 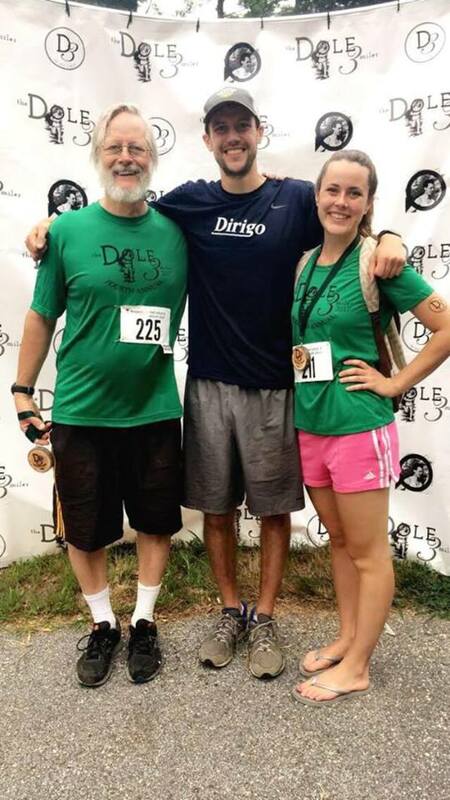 So now you, too, can wear that sporty outfit: George Dole Edition running shorts with either a George Dole Edition t-shirt or George Dole Edition tank top. 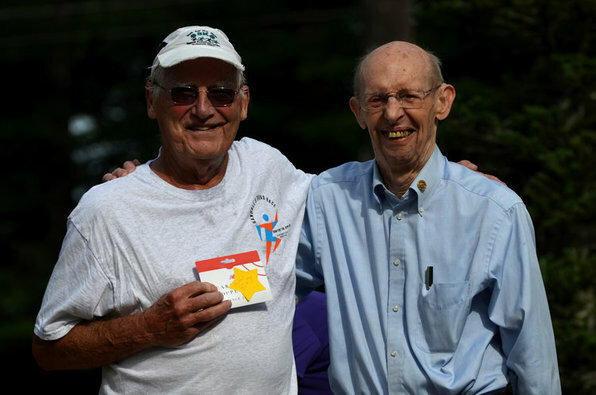 Check it out here, along with a nice story of George reminiscing about that historic race and his part in it. 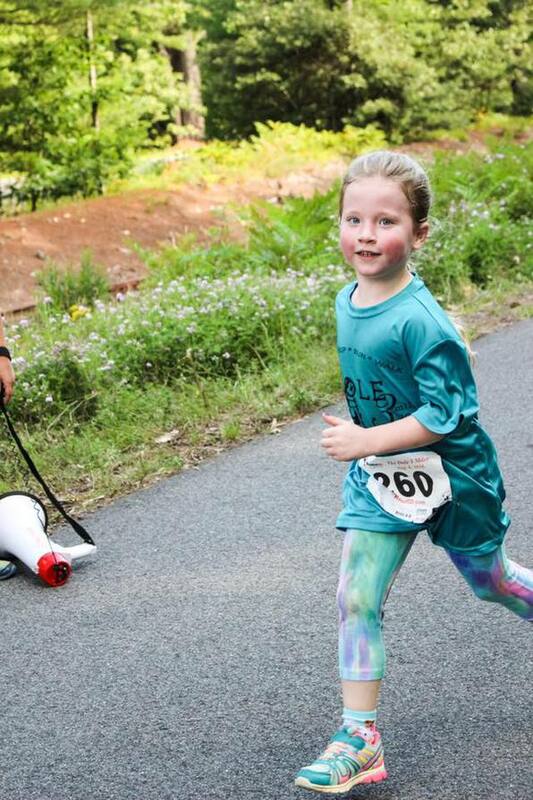 Participants in 2015 increased by 37.5% over last year, with 99 registered runners this year! 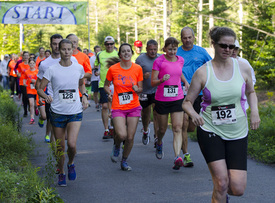 The 2015 race t-shirt was neon orange, with many participants sporting their tee in the race. 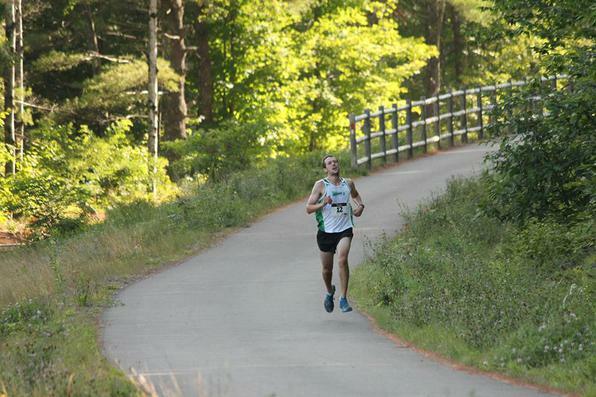 Defending his title from 2014, Nathan Buck of Portland ME won again this year with a time of 16:29. 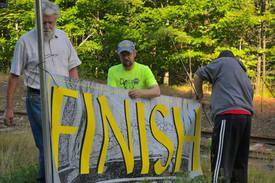 The first person from the Assembly to cross the finish line was, once again, Zed McNaughton(10) at 16th place with a time of 21:36. 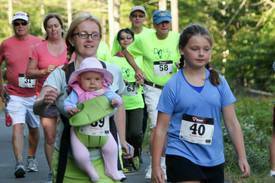 Next FNCAer was his mother, Marina Wood-McNaughton in 26th place at 24:55. 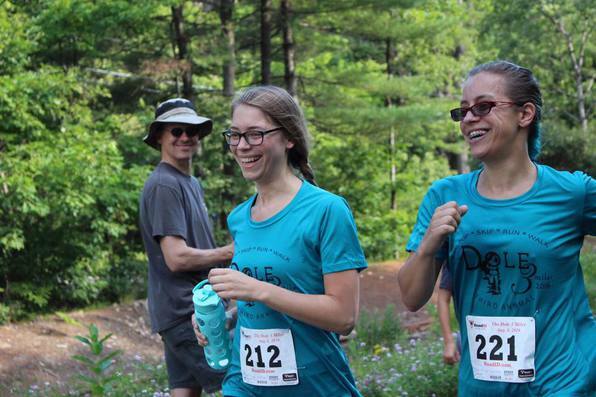 And third was sister of the winner, Nina Sasser, in 30th place at 26:11. Overflow parking is at the Assembly across the street from the Maine Information Center where the race starts and ends. 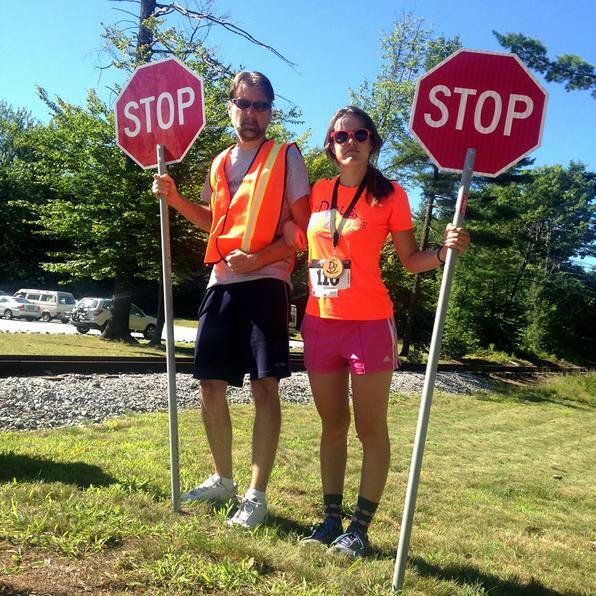 This year Kurt Fekete and Nina Sasser (along with the local police) helped people cross Route 302 safely. 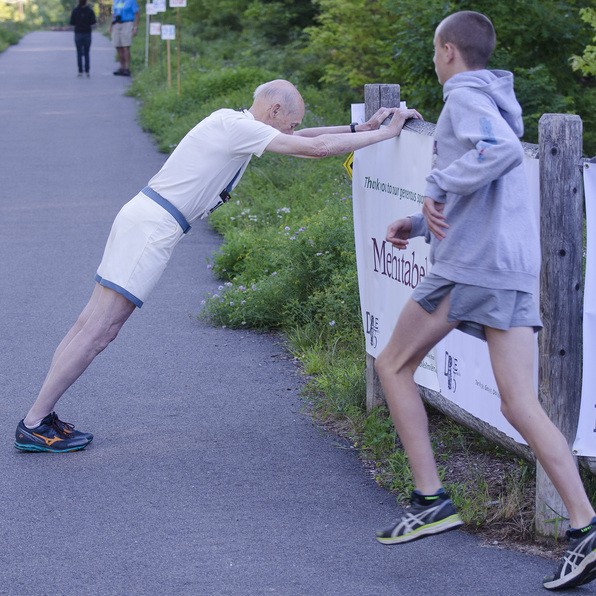 Finishing first in his age group, as he did last year in the inaugural race, Rev. 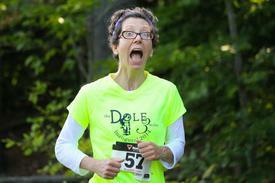 Dr. Dole crossed the finish line in 56th place with a time of 32:51. 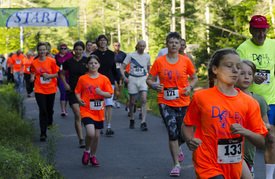 Congratulations to all the winners and to everyone who participated in the 2nd Annual Dole 3 Miler! 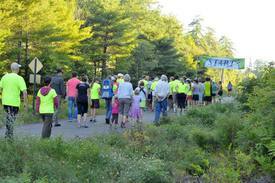 © Ben Phinney 2014In it's inaugural year, this new road race drew 72 participants, ages 1-87. 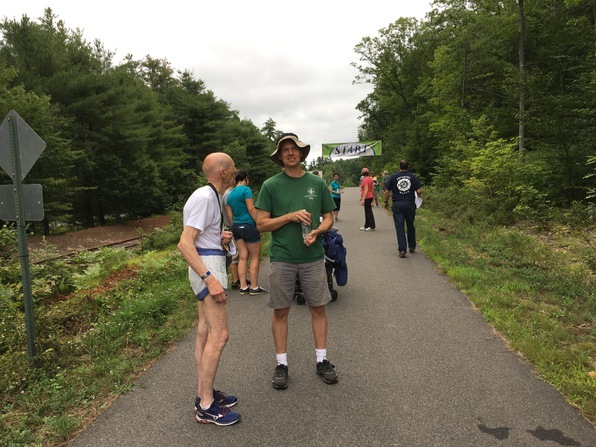 A great big THANK YOU to © Beki Greenwood 2014 race director Jon Crowe --------> and his great crew of volunteers who planned, managed, and carried out a terrific event that was thoroughly enjoyed by everyone involved. 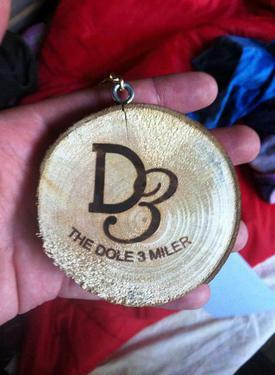 All participants received a neon yellow race shirt and a hand-made wooden Dole 3 Miler medallion made by Adam Lane-Olsen and Dan Dyer. 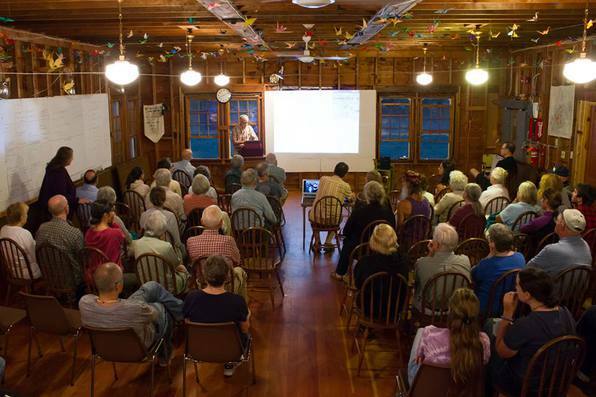 © Jon Cousins 2014On the evening before the race, a substantial crowd gathered at the Assembly for a talk by Rev. Dole about the 1954 race, how he was selected to be one of the runners, and his role in the race itself. 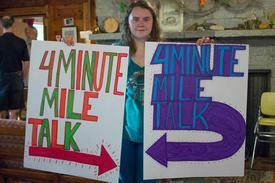 Attendees included FNCA members, local residents, and a large number of runners from the surrounding area. 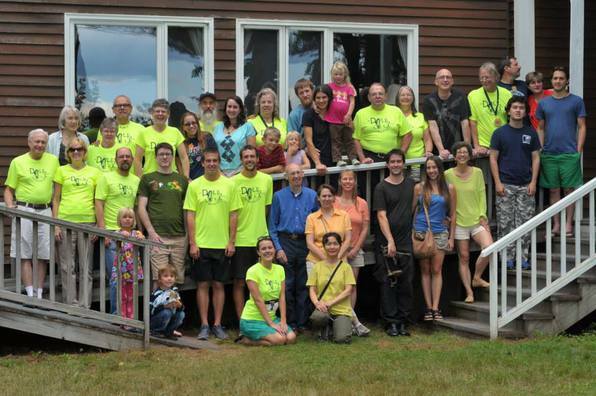 The photo below doesn't show all the 2 dozen or so people who were standing in the rear behind the camera. 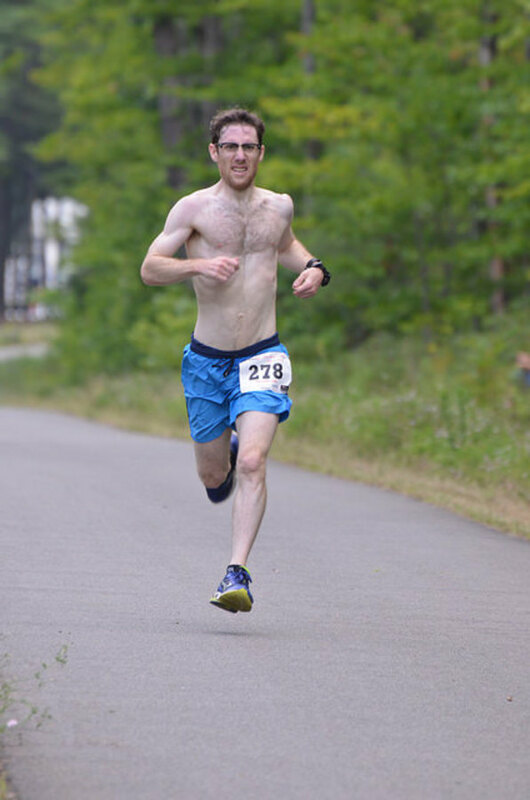 First place winner, Nathan Buck(24) of Portland ME, [pictured below nearing the finish line] with a time of 16:15, received a framed photo of the 1954 Roger Bannister race. 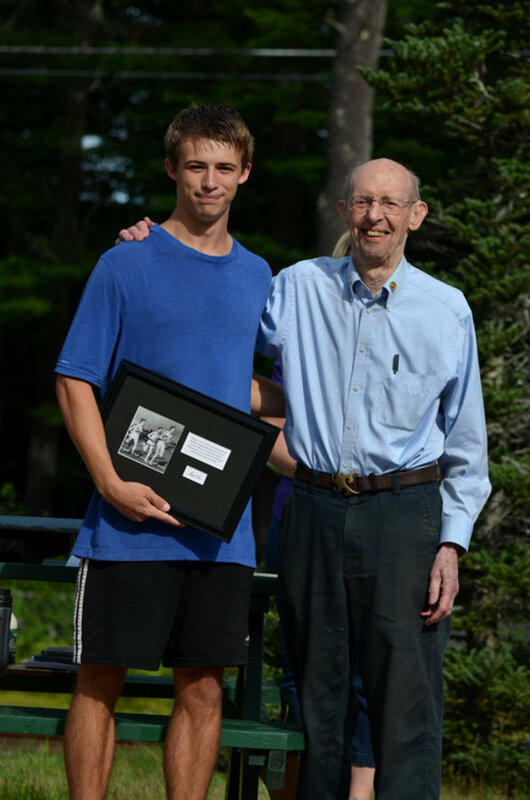 © Jon Cousins 2014Fifth place finisher, Brian Ladd also received a framed photo since George Dole finished 5th in the original 1954 race. 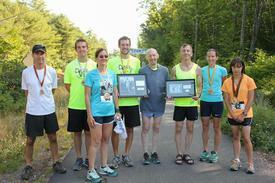 Awards were also given to the first three male and female runners in each of nine age groups. Full results of the race as well as the awards in each category are available on the Cool Runnings site here. © Jon Cousins 201445% of the participants in the race were FNCA attendees. 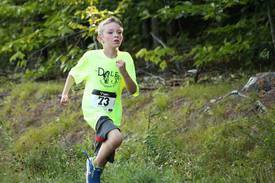 The first person from the Assembly to cross the finish line was 9-year-old Zed McNaughton (10 seconds ahead of his dad), in 8th place with an amazing time of 21:12. 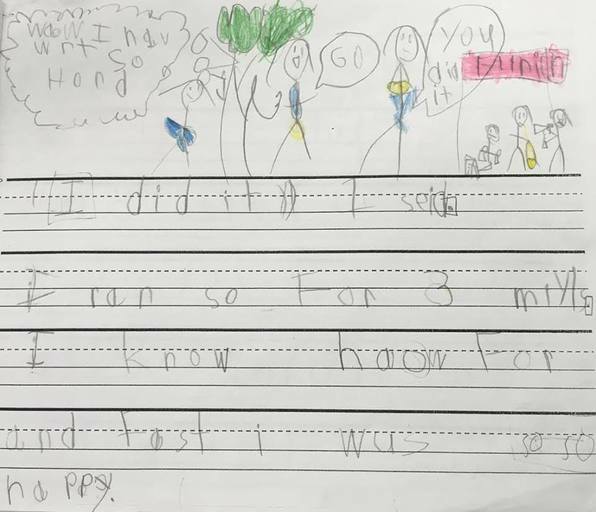 AWESOME, Zed! And finally, here's Rev. 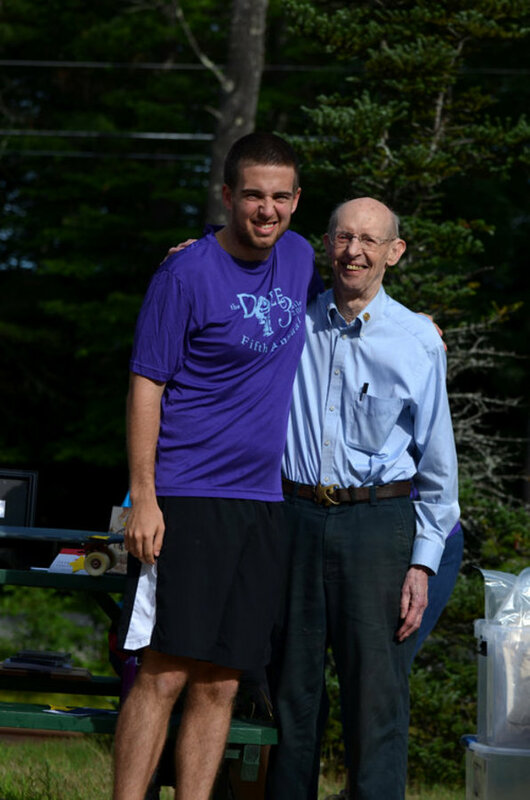 Dole congratulating Nathan Buck on winning the first annual Rev. 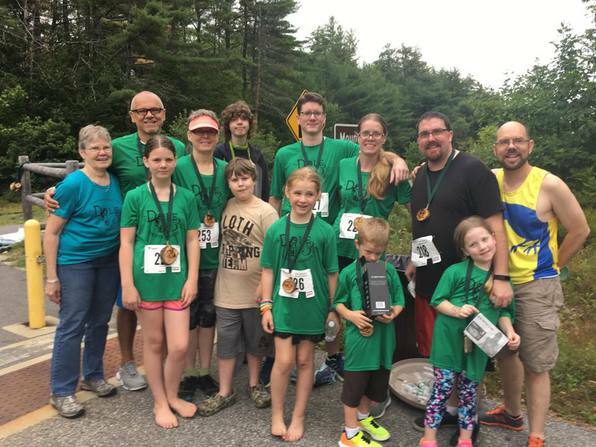 Dr. George F. Dole Celebration Three Mile Road Race!